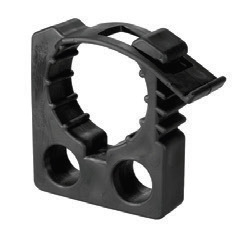 QUICK FIST clamps are made of heavy duty transportation grade rubber, are not affected by hot or cold climates and they are UV resistant. Used widely by vehicle up fitters on emergency vehicles, work trucks, off road vehicles, race trailers, military, ATVs, boats and trains. This is a professional tool mount system which holds tools securely from 16-430mm in diameter ( 5/8" to 17"). 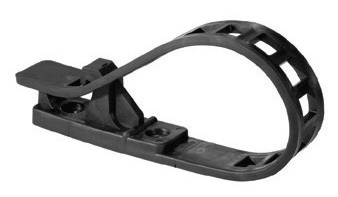 Rubber clamps will not corrode or scratch tools and equipment. McNaughtans are an Australian distributor of the full Quick Fist range and have invested in a large stock facility which allows for very fast turnarounds and same day despatch on all items. We supply many large OEM special vehicle builders with a range of trusted brands and are able to offer a complete professional stowage solution. 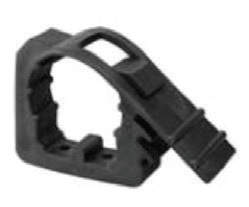 Quick Fist clamps are made from ethylene-propylene-non-conjugated diene rubber (EPDM). 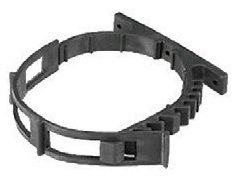 Because they are made from a rubber like substance, it is important that they not over tightened.